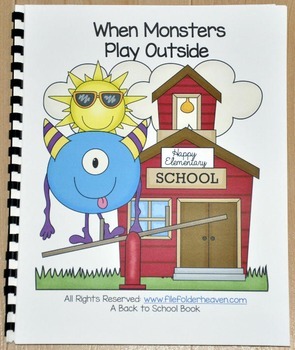 Back to School Free Behavior Book--When Monsters Play Outside"
they show no monster pride. 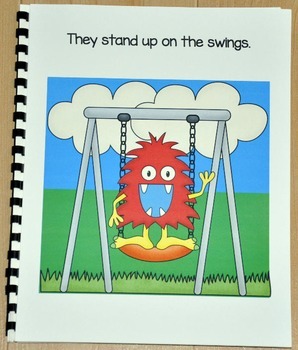 They stand up in the swings. They hang from lots of things.. 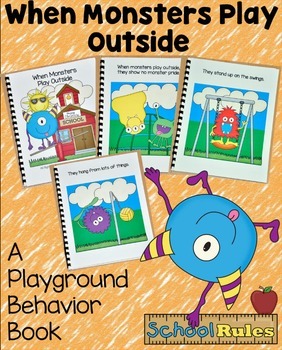 They roll in mud and dirt. 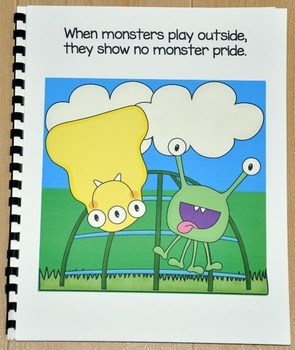 This new book in my "When Monsters Go To School" series also includes 4 "Don't Be a Monster..." classroom posters that can be used to review appropriate playground behavior after you have read the story or you can post them around the classroom or gym or serve as great visual reminders.